Simple Job Board Job Industry Filter by PressTigers is an easy and light weight add-on that adds a job industry filter to your job filters. This plugin is extendible and easy to use. You can add job industries from the dashboard. By using this add-on, you can list jobs on the basis of job industry by using the shortcode ‘[jobpost industry=”industry-slug”] ‘. 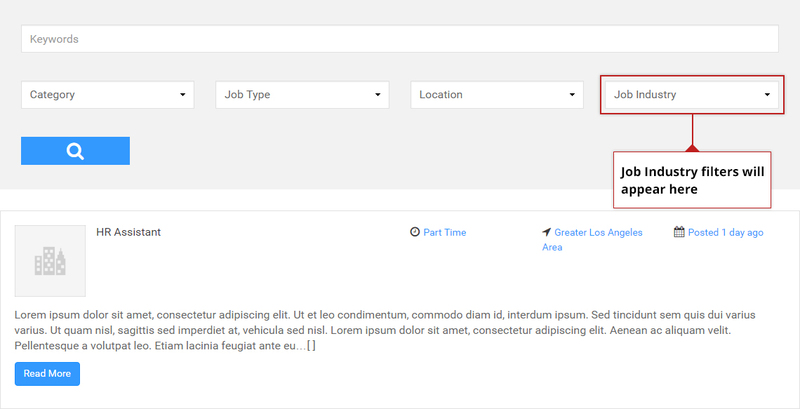 Add Job Description title to Description & swap placement of job description section with job features section.